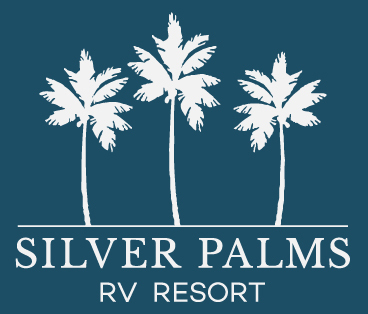 Silver Palms RV Resort offers resort-style five-star amenities that you can enjoy every day-- complete with professional landscaping, a large heated resort-style swimming pool and spa, five pristine lakes within the community and private RV Lots that you can call your own. We invite you to indulge in the beauty of your surroundings and to enjoy state-of-the-art facilities including our clubhouse designed with everything from a fully equipped fitness center to arts and crafts and billiards, an educational and business center, and a private members lounge and more! Enjoy our many outdoor recreational opportunities. Whether you choose swimming or relaxing in the spa, pickle ball or bocce, Silver Palms RV Resort has it all! Enjoy the indoor and outdoor activities, planned by our full-time activities director, along with congenial neighbors who share your interests. The endless recreational opportunities include scores of active clubs and social activities, all in a private, gated Florida RV resort that is literally within walking distance to grocery shopping.